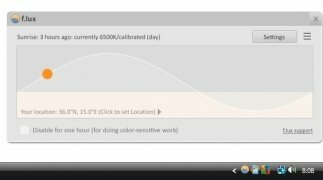 An important aspect that we don't usually take into account when we work on our computer, is to make sure that our monitor complies with the lighting of our surroundings. 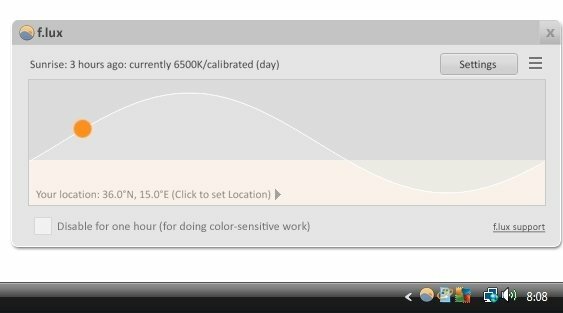 But f.lux is a program capable of doing precisely that. Your eyes will no longer suffer the lighting difference between your surroundings and your monitor. In very well or badly-lit rooms, it's very easy for our eyes to suffer due to the changes between staring at our monitor and any other area of the room where we are. 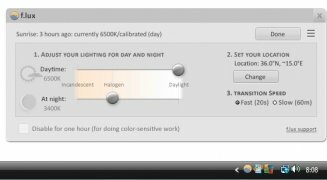 That's why f.lux adapts to the lighting environment of the room, automatically moderating the intensity depending on the time of the day. 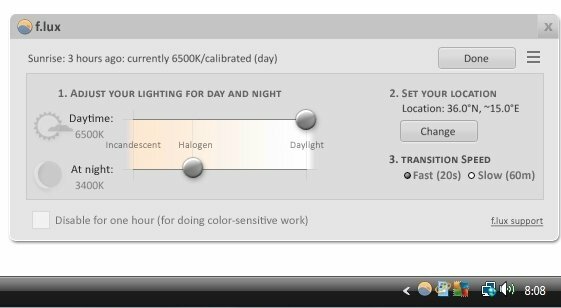 For such purpose, we can configure aspects such as the sunset and sunrise time, or the type of light that we have in the room in question. 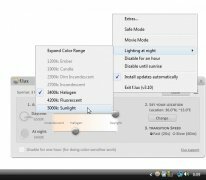 Adjust your monitor's light intensity. Configure the transition time between intensity levels. Establish sunrise and sunset times by means of geolocation. Adjust the sort of light with which the room is lit up. 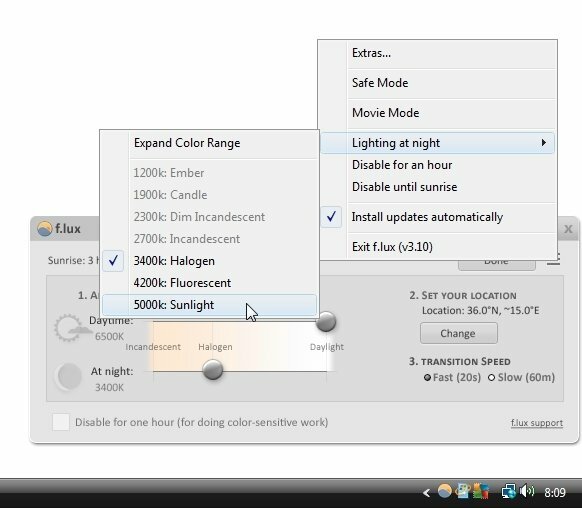 Download f.lux and protect the health of your eyes, automatically adapting your monitor to your room's lighting.